Tiger Lily of Bangkok – When the Seeds of Revenge Blossom opens when Lily was a happy little girl, which lasted until an ‘uncle’ started to abuse her from the age of eleven. 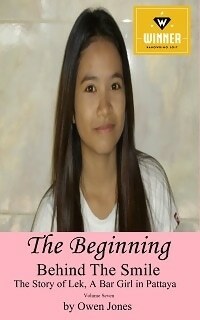 She became shy and introverted, leading a lonely life until she moved to Bangkok to study at university. However, her thoughts and her past would not leave her alone, so, after classes, she began to seek out men she suspected of paedophilia and exact her own peculiar type of revenge on them. She became the vengeful Tiger Lily of Bangkok and terrified society, but how long could she keep evading the police, and did she secretly want to get caught anyway so she could make her story public? You will wonder whether you want her get caught for her crimes, and that will make you question your morality. Tiger Lily of Bangkok will make you question your values! Reviews are available on the website you will reach by following the links below. Please leave your own short review too. The audiobook is narrated by Annya Strydom, who uses a wonderful, slightly spooky voice, which for me is reminiscent of Lily’s broken mother. Listen to the sample at the top of this post or follow the link to the free audiobook. Tiger Lily of Bangkok is the first in the serirs of two, but Tiger Lily of Bangkok in London will be available by the end of June 2018. Tiger Lily of Bangkok audiobook, ebook and paperback on Amazon – soon to be available in other languages! or get a free copy here: Tiger Lily of Bangkok – 100% free! Available on Amazon, Audible and Apple’s iTunes.